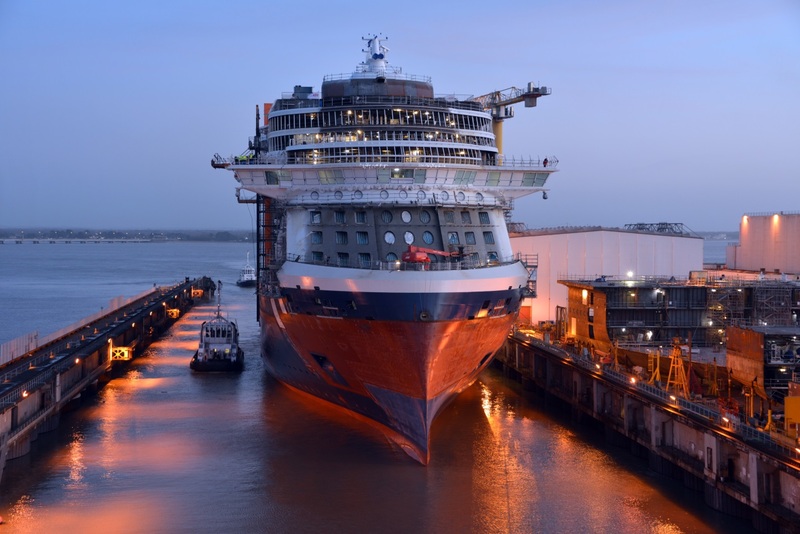 Celebrity Cruises offered the world a glimpse of what will be the brand’s first ship in a new class in more than ten years, as Celebrity Edge floated out of her dry dock in Saint-Nazaire at the STX France shipyard. “This truly is an exciting moment for our brand,” said Lisa Lutoff-Perlo, President and CEO, Celebrity Cruises. We’ve already spoken about the transformational effects the Edge will have on the Celebrity line, but it is worth repeating them here. Suites and staterooms designed by the award-winning interior designer, Kelly Hoppen, give guests unparalleled views of the sea and a greater sense of space. The world’s first cantilevered, floating venue in the form of the Magic Carpet – Edge’s luxury dinner experience which scales 16 decks of the ship and is the size of a tennis court – is a true marvel of engineering and a guaranteed talking point. And let us not forget Celebrity’s reimagined Garden of Eden – spanning three decks at the aft of the ship and brings with it almost 7,000 square foot of glass. It all adds up to a new ship launch which we are very excited for. It may only be January but, for us, November can’t come soon enough. ✪ Guests are able to set sail on this highly anticipated new cruise ship from its first sailing on 21st November 2018. 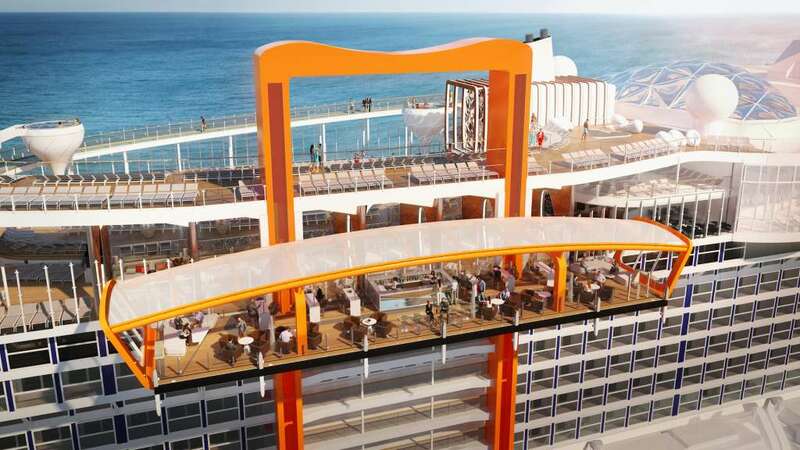 Celebrity Edge will then alternate seven-night Eastern and Western Caribbean itineraries before relocating for Barcelona and Rome for the summer of 2019 offering 7 to 11-night sailing, including a cruise from Southampton. Bookings are now open at celebritycruises.co.uk, on 0800 441 4054, or through a travel agent.